The foundation of a story is more than just an exciting tale to tell. It's writing correctly and well. Part of writing well is knowing how to craft complete sentences. 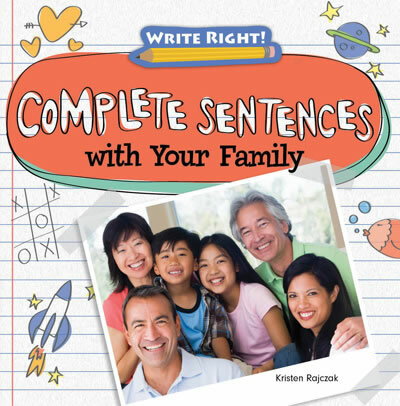 Readers will learn the characteristics of a complete sentence, including the punctuation marks that end them and how to find a main clause. Full-color photographs will enhance the everyday situations described in the many examples. Fact boxes add even more explanations and, with the main content, support the common core English language standards in a fun and relatable way.